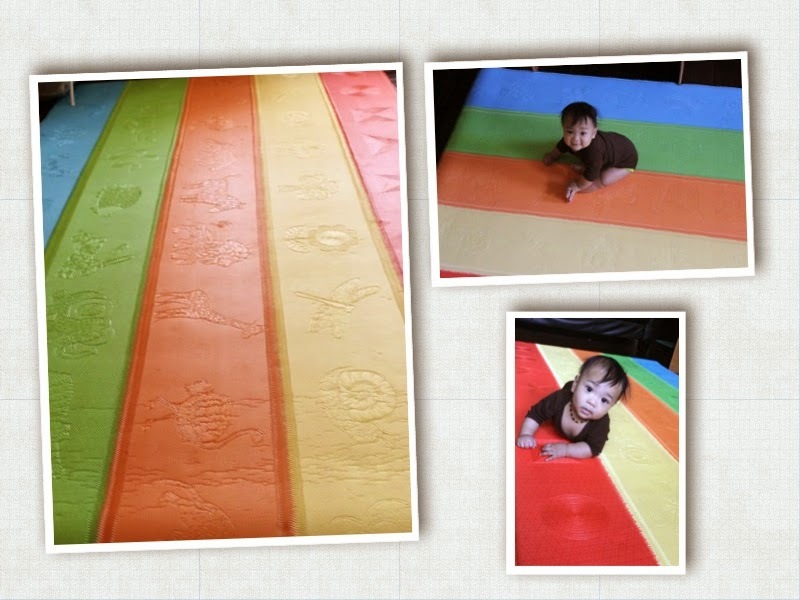 Buggies and Babies Blog: Dwinguler Play Mat - our review! The Dwinguler playmat has become one of our hottest selling items at Buggies and Babies! We’ve been carrying these mats for about a year now and our customers continue to rave about these amazing mats! We’ve always had one or two of the mats on display at our store so not only the staff and my own kids enjoy the mats but our customers sure did as well. 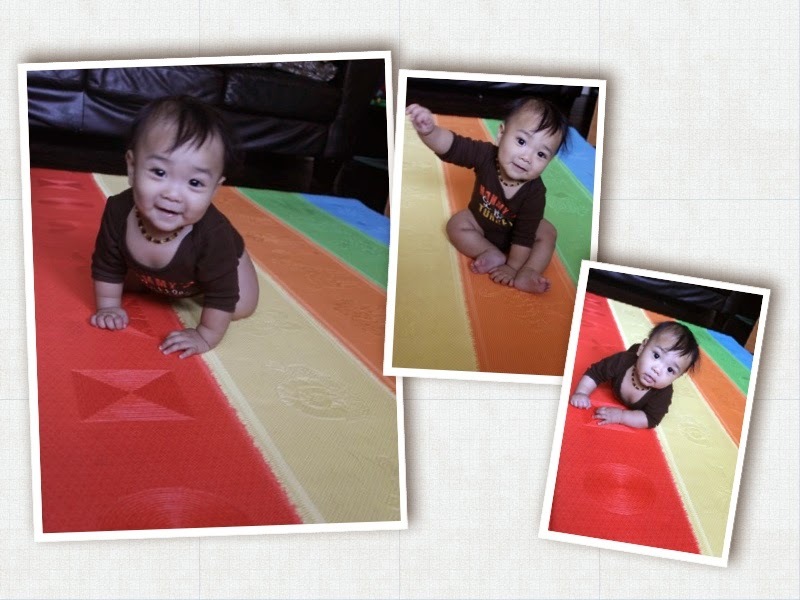 Our family recently added a Dwinguler play mat to our own home as our youngest is now at the crawling/sitting stage. We just could not be happier with our new mat! Colorful – babies love looking at different colors, shapes, characters. It engages their senses and will illicit positive emotions and feelings. Safe - the material of the mat is safe for little ones (especially if the ill one is teething and will likely gnaw on the edges). Also because it is one large piece the baby cannot grab a small square or circle piece and chew/eat it, throw it, lose it, etc! Fun - one side of the mat will feature fun characters, animals, shapes or even texture. Our best selling print "Dinoland" features a fun roller coaster. In our store kids would always "drive" a toy car on the coaster track. It was a great way for the children to use their imaginations. EASY TO CLEAN!!! Since it’s one large piece (rather than square pieces or little connections) it can be cleaned easily, thoroughly and fast! Soft – if you’re a parent or grandparent with bad knees (like me) you will appreciate how Dwinguler mat is so squishy and comfy. You could (and probably will) take a nap on the mat! Fun prints/colors – the Dwinguler play mat is available in various colors and prints. The styles are generally kid finely but in such a classy way that they will look good in your common living area. Hey, we have little ones - our guests have to understand our flooring choices are in the best interests of our littlest ones at the moment. EASY TO CLEAN!! I have to repeat this because with babies and toddlers there will be many spills, accidents, vomit etc on your mat. Additionally, if you’re like our family and have furry family members the faster and easier to clean up is a must have. You do not want to mix dirty paws or shredding hair in the play area. Of course this will happen. Large – the mat is about the size of a standard room size rug (7.5 feet by 4.5 feet) so using this in a playroom or family room is a perfect fit! Other mats tend to run much smaller. Safe – because of the thick cushy design you do not have to worry about the spills/falls/drops your baby will go through in their “moving” stages. This especially is the case if you have tile or wood floors. I also think this bodes well if you have carpet! Babies put everything in their mouths – I remember one of our older ones would actually eat the carpet, which probably wasn’t yummy! I truly cannot say enough about the Dwinguler playmat! We’ve enjoyed featuring the product inside our store and are more than pleased to now have one in our home! I would highly recommend the mat to every other household with a ill baby and/or toddler but also preschools, indoor play spaces, day cares should consider this amazing mat! Retail prices for the mats are $179 and Buggies and Babies offers free shipping within the US contiguous states. Available now on our site! Just ordered one - thanks for the great review! !